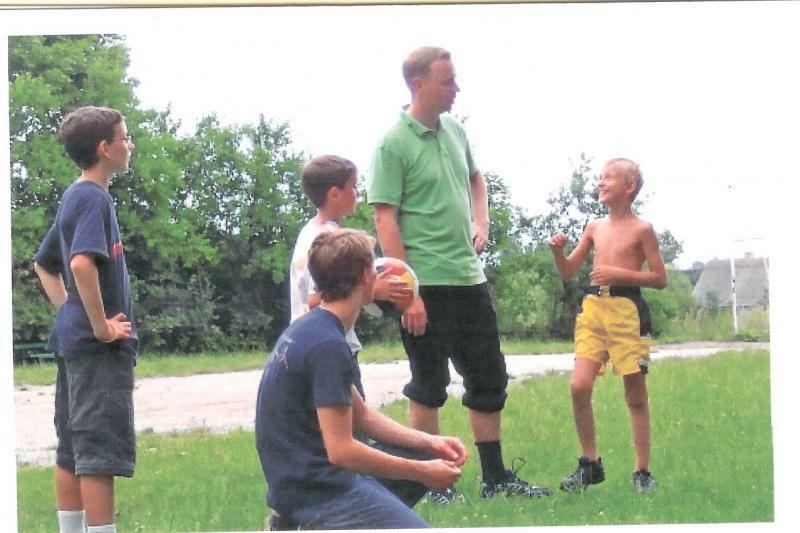 This picture was received from a missionary appointee to Poland. He is raising support so he can serve full time for 4 years in Poland. The picture was taken there when he visited an orphanage, played a soccer game with the children and then shared the Gospel with them usng the ball with a local pastor translating. He left the ball in Poland with missionary colleagues. Please pray that God will bless the efforts of this missionary appointee to get to Poland in the near future so He can share the message God has given Him.